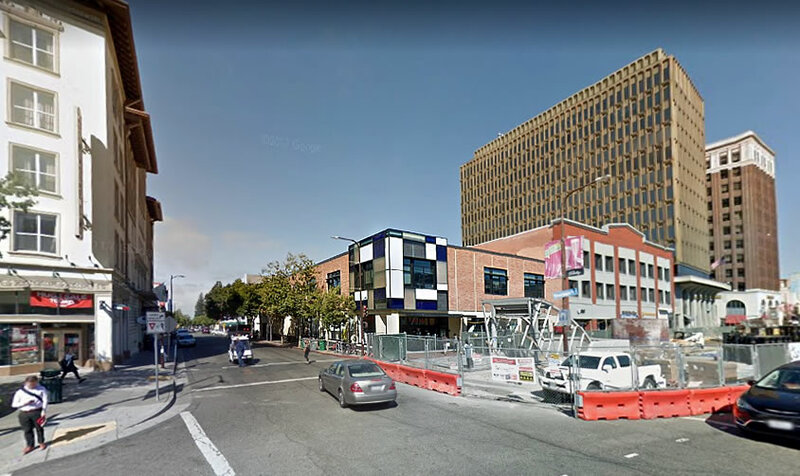 Plans to raze the two-story commercial building at the corner of Shattuck Avenue and Allston Way, in the heart of Downtown Berkeley, have been in the works since 2016. 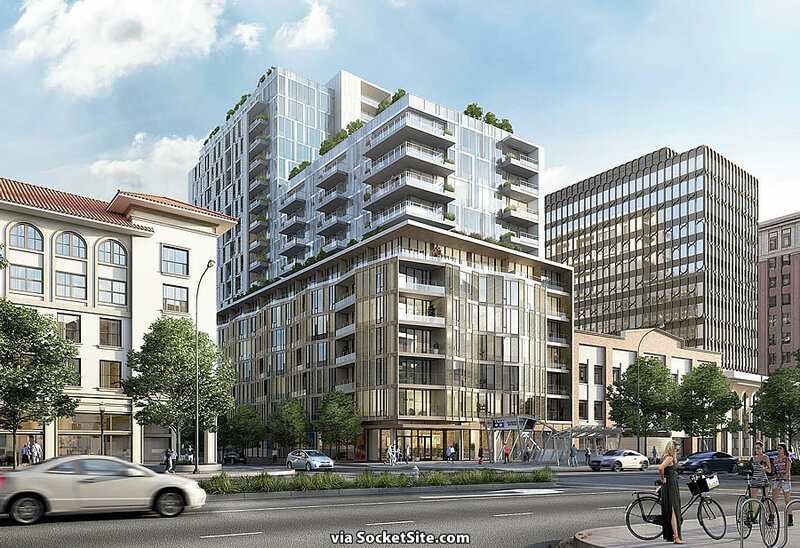 And as proposed by Mill Creek Residential, an 18-story building will rise up to 180 feet in height upon the Walgreens site, with 274 apartments over 10,000 square feet of ground floor retail space fronting the new BART Plaza and a basement garage for 103 cars. “The project engages the 7-story base and 18-story tower into a dialogue of distinctive forms and material sensibilities. The building’s facades are composed to feature a fabric of shade screens – or “shutters” as we call them. The shutters tune the amount of light and shadow on the south-facing balconies providing a unique spatial experience for the residents and, in turn, create a dynamic façade that weaves together at the corner of Shattuck and Allston. 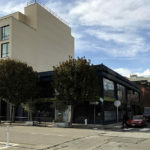 Having qualified for a streamlined review, the Environmental Impact Report (EIR) for the project could be certified by Berkeley’s Zoning Adjustment Board on Thursday. And if the EIR for the “Shattuck Terrace Green Apartments” project is certified this week as expected and recommended by the city’s Planning Department staff , the overall development could be approved by the city by the end of this winter or spring. In addition to the new ground floor retail space, into which Walgreens is expected to return, the development also includes a ground floor storage room for 100 bikes with a built-in repair space for residents. We’ll keep you posted and plugged-in. Ah!! I was wondering when you would get to this: Berkeley Heritage is having a fit since it sits squarely in the view corridor of Campanile Way. o my gosh. thanks for linking. hard to believe something like this would hold up downtown developments. also, and more importantly, i think those renders are fabricated. go into google earth and hover over campanile — the line of sight is close, no doubt, but i really don’t think you’d see the building. you don’t see the ugly building to the west across shattuck, therefore you wouldn’t see the new building. totally a lie!!! renders can lie. What “building to the west across Shattuck” are you talking about? This building (Walgreens) is already on the west side of Shattuck. I think s/he’s referring to the Great Western Building (that bronzish building @ Shattuck/Center). As for Renderingate: Center Street is on line with Campanile Way, so if you stand on the Podium at the foot of the Campanile and look west – as opposed to trying to simulate such with “Googleview” – you can see the two buildings that currently straddle the axis, and you will certainly be able to see this. The view won’t be completely blocked, but it will be (further) compromised. Of course, since the alignment with the Golden Gate was done for symbolic purposes, this can be viewed – in every sense of the word – as an update of that symbolism: degradation of the University and subjugation of it to private purposes. I do agree that the scale is off (too large). Oddly enough though, according to my “calculations”, the 12th floor is about where it should be — right at the horizon line. Those BART canopies are hideous. No they’re not. Go see the similarly designed ones in Oakland. They’re well lit, modern, and stay cleaner than the current designs. Just to be clear, there’s no actual canopy over the complete BART entrance: The new southwest entrance to the Downtown Berkeley BART station has a new glass cover, but a lack of funds means the canopy does not extend fully over the stairs. So it would appear (from the photos in the link you provided) that they have glass in the sides of the canopy, but not on the top, WHICH IS THE WHOLE POINT OF A CANOPY ?!?! Why aren’t more of these things flying up and around this overtaxed landscape? Is the building two doors down also getting a facelift? Sure looks nicer in the renderings than in the photo. Pure stylistic effect (and rendering talent). Downtown Berkeley is woefully underbuilt. A good project. 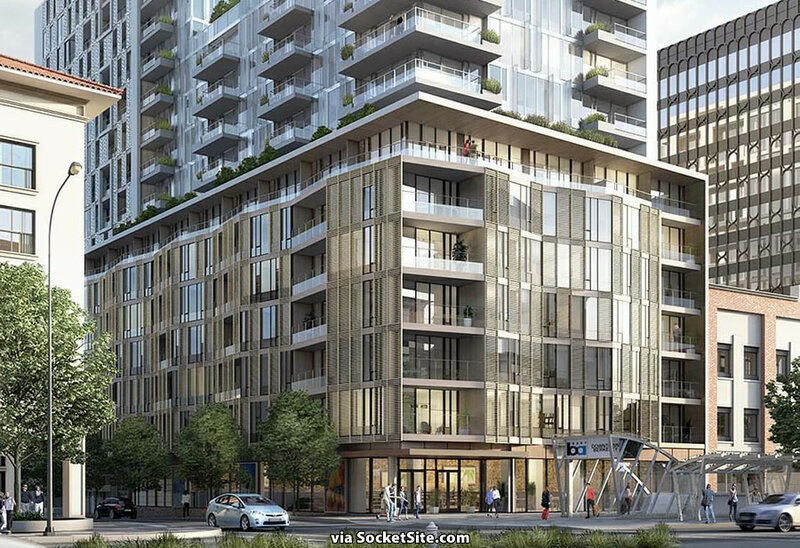 We don’t need an 18 story visually ugly building downtown. This will do nothing to solve the affordable housing situation. Only the developers will profit. This building will be a burden on city services and taxpayers. Care to back up your claims with studies/facts? And who are “we”? 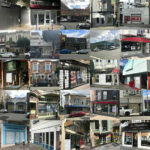 Do you speak for all of Berkeley? Finally, “ugly” is extremely subjective. I would suggest you look at the link I have in my post (above): it’s a very thorough discussion of the project from a Public Hearing on it ( tho some of the transcription could stand to be a little more accurate). we? um, born and raised in berkeley, and can’t afford to live there. i don’t need subsidized housing, i need more supply. i’m guessing you’re nearing retirement and own your home? I bet he pioneered his property and built his house by himself with materials gathered from his lot! You mean, he lives in North Berkeley Hills in a subdivision built by a developer*? Pshaw! Say it isn’t so! *Admittedly, 1920s developers had better taste. We need more fiscally responsive land use planning. We certainly don’t want a burden on city services and taxpayers. Can’t go spending any of our tax dollars supporting housing for people. What next? Free school education? Vaccinations for the poor? Nutrition services for single mothers? Where does it end? And if this big building is a burden we should probably put a proposition on the ballot to tear down all big buildings in downtown Berkeley. Not fair to give one developer a subsidy and not the other….